One of the best features of QuiBids is the wide assortment of products available for bidding (in auctions) or Buy Now (from the QuiBids Store). Since QuiBids launched in October of 2009, products from our Electronics Category like smart phones, tablets, computers, TVs, for example, have consistently been some of the most sought-after products on our site. Recently, we began offering products from a brand that you probably wouldn’t consider to be available on a site like QuiBids, and that brand is Omaha Steaks. At first, we weren’t very sure how customers would feel about bidding on high-end grocery items like steaks, lobster tails, filet mignons, and more. 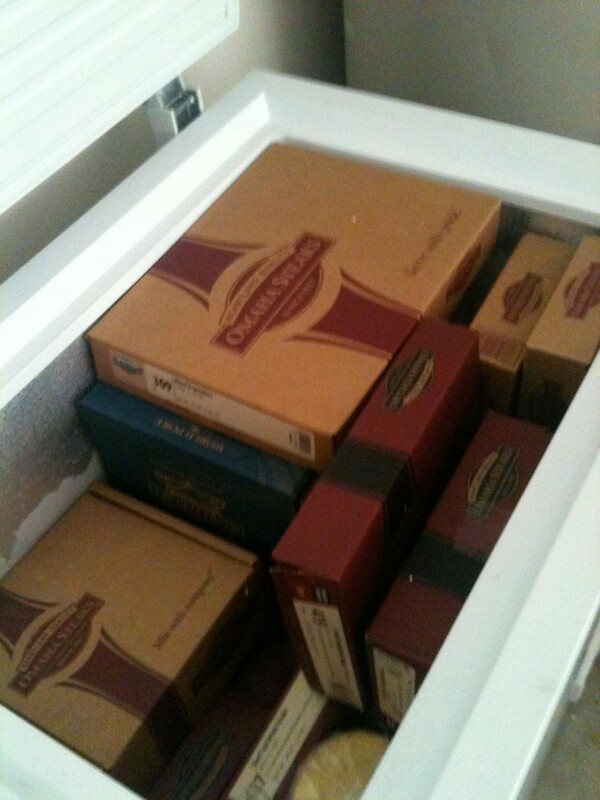 We soon discovered, however, that QuiBidders really do love these meats from Omaha Steaks. Below we’ll show you exactly what customers are saying, but first let’s have a look at what you’re getting with Omaha Steaks. Who can bid on (or Buy Now) Omaha Steaks Auctions? Omaha Steaks auctions are currently only available to bidders from the United States and Canada. Do I receive actual meat or is it just a gift card? 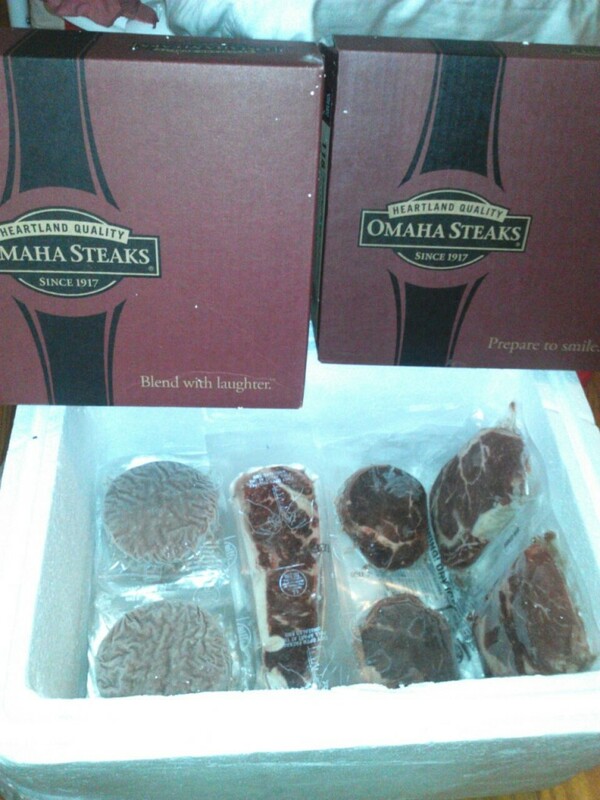 You will not be shipped gift cards, but the actual package(s) of meat directly from Omaha Steaks themselves. 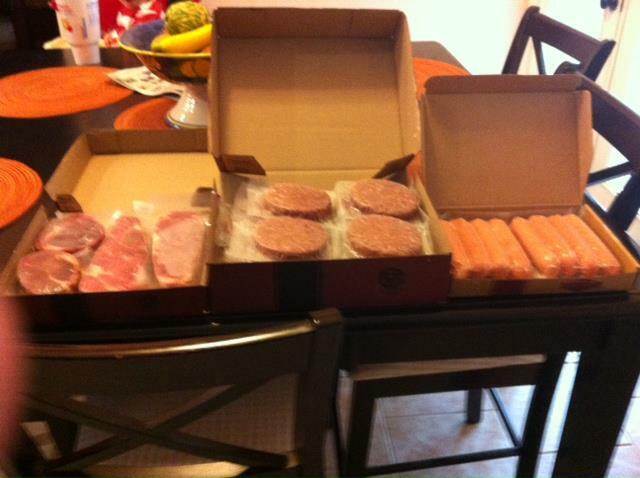 The meat is shipped in a Styrofoam container packed with Dry Ice. Should I bid/buy a package of Omaha Meats from QuiBids? We want to help you make that decision for yourself. Read what other real customers are saying about the Omaha Steaks packages they won from QuiBids below. 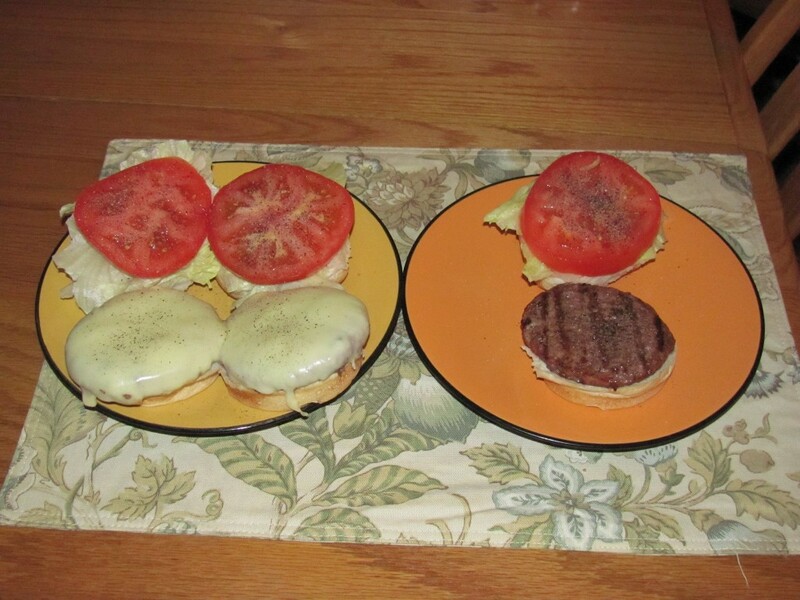 “Q, perhaps you should add SMALL FREEZERS back to your Store — I had to purchase elsewhere, but well worth doing!” – Karen C.
“We had a wonderful vacation at Cape Cod, the seafood was so good but couldn’t wait to come home to have a burger on the grill..The burgers were outstanding, can’t wait to try the steaks this week-end.Thanks Q for offering the Omaha Beef…” – Colleen H.
“My steaks and burgers arrived today,one of my better wins, will have to wait to eat them until I come back from vacation.” – Colleen H.
“Lookie at what came today!!!! STEAKS N BURGERS!!! 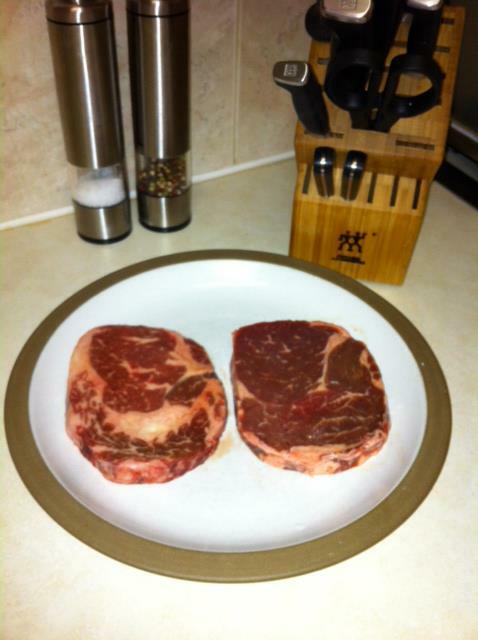 YUM-O lol” – Nicole C.
“Don’t know about anyone else, but we are having our first Omaha Steaks…not totally thrilled with the quality…Ribeyes seem thin and as you can see, two in the box were excessively fat and two fairly lean…hope they taste good!—After making some adjustments to our normal cooking for the “thickness,” I stacked them on the Foreman…2 minutes then reversed them to cook 2 minutes on the uncooked side. The taste was excellent. Cooked to a hair less than medium…maybe a slightly rare medium. We both gave them a two-thumbs up, after the initial shock of opening the box. —haha…just realized, looking at the picture that this is the Q corner…Q Salt and Pepper Mills, and Q Henkels knives and steak knives, can’t see the Q Toaster or the Q Foreman Grill I’ll be cooking them on.” – Denise A. 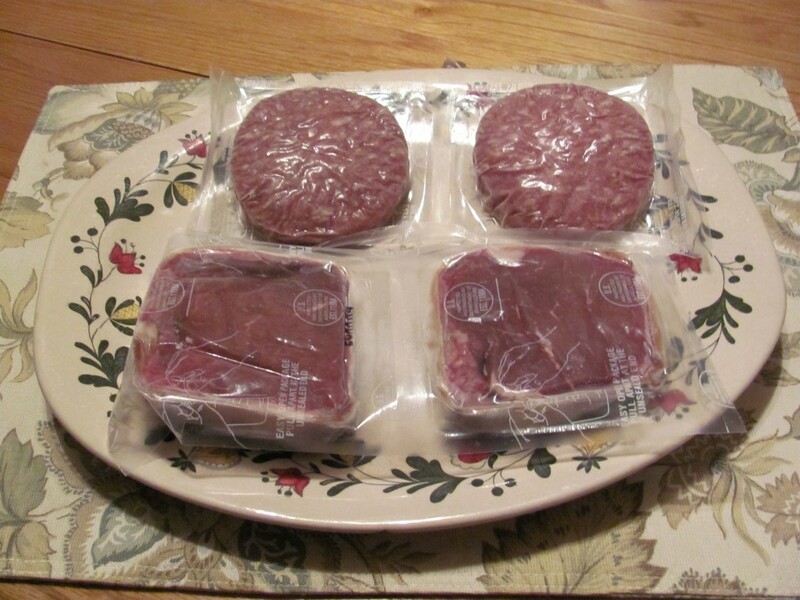 “Well, I am really excited, part of my steak package came in and they look great. The 16 hamburger steak and hotdogs came in and the two ribeye and the two sirloin strips came in, they are about 1-1/2 inch thick, they look great. Still waiting for the sole stuffed with crab meat, maybe they will be delivered later this afternoon. Hope yours gets delivered soon too.” – Sherri A. 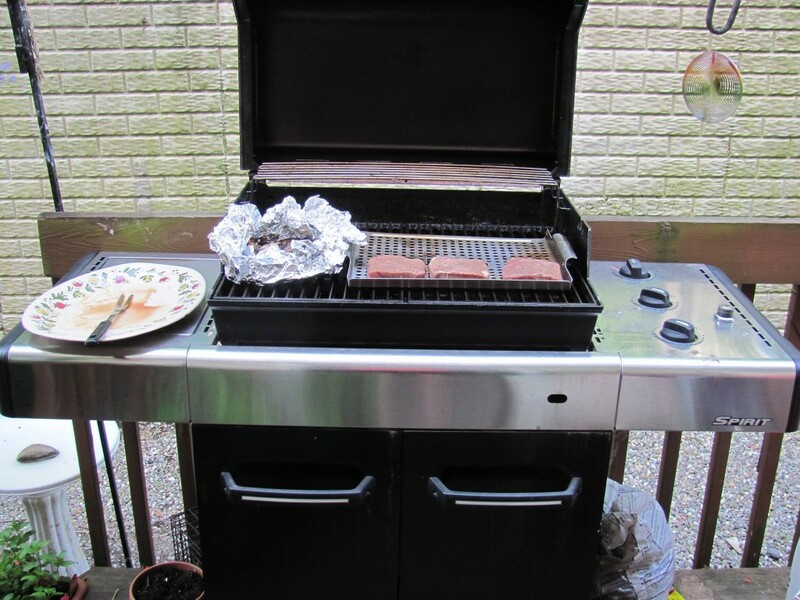 “Finally got to have the steaks that I won, they were outstanding,thanks Q for offering them, and since it’s in the pic.,this is the Weber grill I purchased with all the Home Depot cards I won 2yrs ago….” – Colleen H.
“My Mother’s Day supper …Omaha strip.steak cooked on my char-broil gas grill all compliments to QuiBids! Thanks, it was beyond delicious. :o)” – Nicole C.
“Some of you have wondered how Omaha ships and if it safe. I assure you from recent experience, DEFINITELY!!! 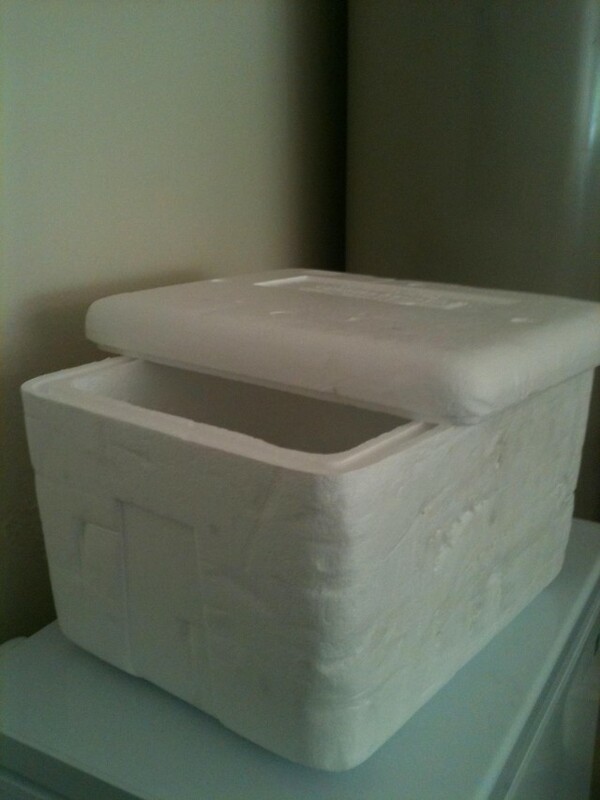 Orders are packed w/dry ice in Styrofoam coolers like this one and are hard-frozen when received. I think I’m correct in adding that when you get your “Shipped” notification, your order will arrive the next day (even if there is no tracking).” – Karen C.
Follow our Mmmm board on Pinterest for recipes for the Omaha Steaks you won (or will win). 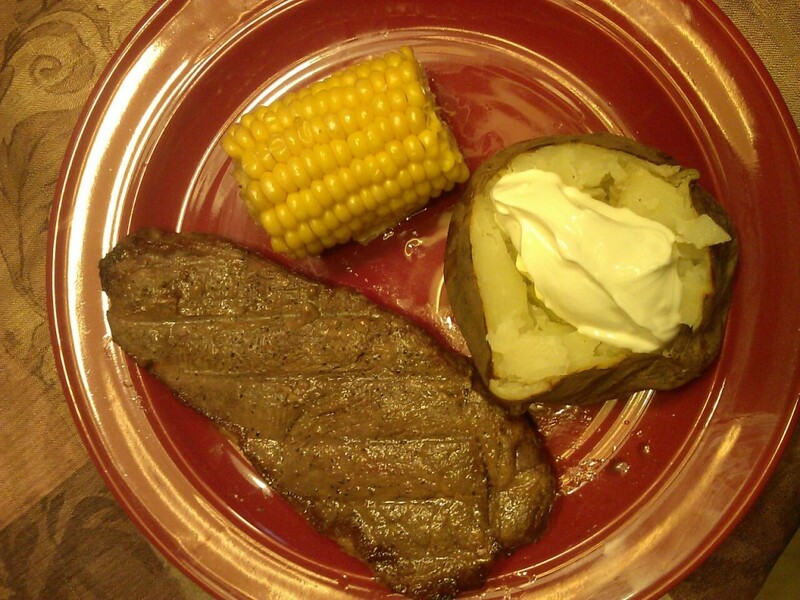 Be sure to post your Omaha Steaks pictures on our Facebook page and you could be featured here on the QuiBids Blog! Click HERE to start browsing Omaha Steaks packages on QuiBids.